MOSCOW (Reuters) -- Low adaptability to Russian consumer needs as well as the fall in the ruble are the main reasons behind a decline in demand for General Motors' cars in Russia, the RIA news agency quoted the industry and trade ministry as saying. GM said Wednesday in a statement that it will idle its St. Petersburg factory by mid-2015 and wind down its Opel brand in the country to try to survive a deepening downturn in the auto market. Russian industry and trade ministry officials, quoted by RIA, said GM suffered because it imported more than half of the parts for its cars. Renault-Nissan and Volkswagen source about two-thirds of car parts within Russia for the cars they assemble there. "A low level of production localization (25 percent to 27 percent) were the main reason for the decline in attractiveness of the concern's models in the Russian automotive market," RIA cited a ministry's official as saying. "The growth of the dollar against the ruble has only exacerbated an already difficult situation." The Kremlin today said it regretted GM's decision, adding that the automaker would lose out when the market returned to growth. "We can express regret but on the other hand there never is a vacuum on the market, if one company leaves, other companies fill this gap and the company unfortunately has put itself at a disadvantage for when the market picks up," Dmitry Peskov, the Kremlin spokesman, told reporters. Russia accounted for 1.9 percent of GM's global sales in 2014, down from 2.6 percent in 2013. GM's market share in Russia fell to 3.4 percent in the first two months, down 5.8 percentage points from the year before, according to data from the Moscow-based Association of European Businesses. GM employs 4,000 people in Russia, including 1,600 at the St. Petersburg plant, which builds the Opel Astra and Chevrolet Cruze small cars. Just four years ago, GM said its Russian operations were gearing up to expand production capacity to 350,000 vehicles a year. The company called Russia "an important strategic market." GM said its retreat in Russia is not just prudence. The company produced less than half its cars for the market locally, said spokesman Dave Roman. When the ruble collapsed, GM’s imported cars became very expensive. The company would need to invest far more to make cars locally and avoid risk from the ruble, Roman said. Evercore ISI said GM likely has made the right decision to scale down in Russia. The research firm said the country has 3.5 million units of production capacity with low utilization rates. Russia is unlikely to be a profitable market for volume automakers even if it rebounds, Evercore ISI said. Even if the market bounces back to to the previously targeted 3 million units a year, the installed capacity, together with imports, will not offer an opportunity for high profits. GM's strategy to focus on Cadillac and larger Chevrolet vehicles in Russia will help the automaker reach its longer term margin objectives, it said in an investors note. In contrast to GM, Ford Motor plans to ride out the storm. Russia's future growth is worth enduring some tough times, Bob Shanks, Ford's chief financial officer, said on Jan. 29. Ford has cut jobs at its joint venture factory in Russia, and Nissan earlier this week said it would halt production at its St. Petersburg plant for 16 days. Automakers including Hyundai and affiliate Kia, Russia's AutoVAZ and the Renault-Nissan alliance are shielded from currency risks because of their high levels of local production. Renault and Nissan are committed to the Russian market for the long term, said Mia Nielsen, a spokeswoman for the Renault-Nissan alliance. "We are the most localized carmaker in Russia," she said. Russia's economy ministry said on Wednesday no foreign automaker with an assembly plant in Russia, other than GM, has said it has plans to leave the market. After several years of growth in excess of 10 percent, car sales in Russia are plummeting as the economy is battered by Western sanctions over the Ukraine crisis and sliding oil prices. GM’s Russia sales plunged by 75 percent to 32,936 in the first two months in a market that fell 32 percent overall, according to the Association of European Businesses. Chevrolet sales were down 71 percent to 21,868, while Opel deliveries dropped by 82 percent to 10,891. The Russian car market is forecast to shrink by up to 35 percent in 2015 according to PricewaterhouseCoopers after falling by 10 percent to 2.49 million last year. The Russian Economy Ministry said it expects the domestic car market to return to growth in 2016. But analysts say Russia is in for tough times. "At least 70 percent of cars currently sold in Russia are sold at a loss. Auto groups only stay in this market to protect their share in anticipation of growth," said Oleg Datskiv, general director of online automobile portal Auto-dealer.ru. 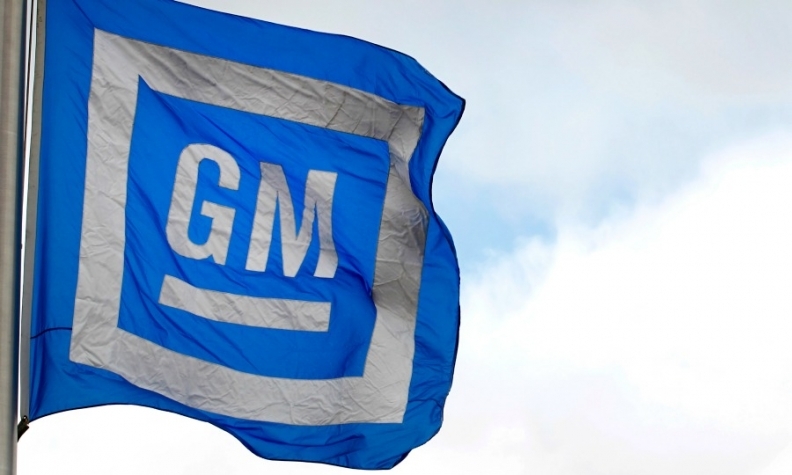 GM said on Wednesday that it will also end an agreement this year with Russian producer GAZ Group to assemble Chevrolet vehicles. The GM-AvtoVAZ joint venture in Togliatti will continue to build and market the current generation Chevrolet Niva, GM said.